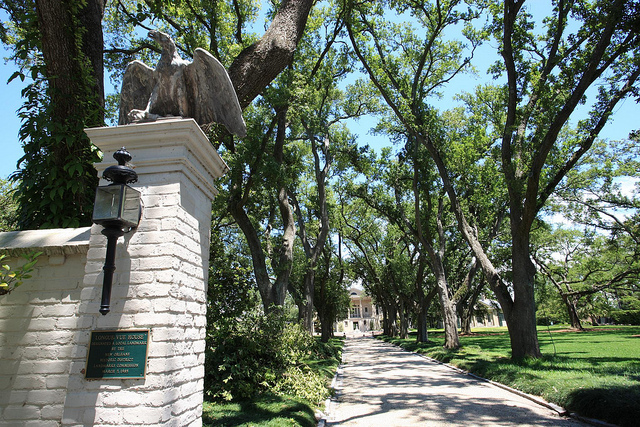 NOLA’s Lakewood neighborhood is an elegant and beautified subdistrict in the Lakeview District Area. A low-lying neighborhood, it is known for its lush scenery, residential communities, tidy homes, and historic characteristics that make the small neighborhood a unique area in New Orleans. The City Planning Commission defines its borders as Veterans Memorial Boulevard to the north and Pontchartrain Boulevard and the Pontchartrain Expressway to the east. Numerous streets make up the neighborhood’s southern border including Last, Dixon, Hamilton, Peach, Mistletoe, and Quince among others. The 17th Street Canal makes up Lakewood’s western border. One main appeal of this quiet, picturesque neighborhood is the National Historic Landmark, Longue Vue Historic House and Gardens. Built between 1939 and 1942 for Edgar and Edith Stern, the house was designed by architects William and Geoffrey Platt, Ellen Biddle Shipman, and the Platt Brothers. The stunning home and gardens now stand as a feat of utility and beauty combining both house and gardens. The 8 acre property boasts 8 dependencies, 5 structures, 14 garden areas, and 22 fountains and ponds. It is one of the last Country Place Era homes built in the United States. In 2005, the site was also named a National Historic Landmark. The gardens are especially noted for its large range of flowers and significant because the female designer, Ellen Biddle Shipman, exercised complete control over its creation. Not only does the home host a number of tours, they also offer events such as yoga classes and other activities. In addition, summer camp and other educational opportunities allow students of all ages to experience the joys of the house and gardens. In addition, the Metairie Cemetery which boasts the largest collection of funeral statues and elaborate marble tombs in the city. The site was the previous site of a horse racing track in 1838. If you’re looking for an elegant area to stroll and enjoy the natural beauty of New Orleans, then this is a great neighborhood that’s tucked away from the busy central are of the city. Enjoy the landscaped marvels and the sophistication the Lakewood neighborhood has to offer.